On last week's "No Fee TV" episode, we discussed spring and summer injury prevention. People are spending more time outside, and you might have already heard the familiar rumble of a motorcycle. May is National Motorcycle Safety Awareness Month. On our next show we'll share information about the laws that impact drivers and motorcyclists, as well as injury prevention tips. A partner and litigation manager Attorney Michael Rosenzweig, and Rocky Marks, Operations Manager at Hot Metal Harley-Davidson, will join host Shelley Duffy for a show you won't want to miss. The show will air live on PCNC on Tuesday, April 30, from 7:30-8pm, and will re-air on Saturday, May 4, from 12:30-1pm. I encourage you to call in with your motorcycle safety questions at 412-333-PCNC. Also, be sure to check out our Motorcycle Safety Resource Center – featuring various articles on safety, state-by-state helmet laws and insurance laws, information on custom motorcycles, and more. 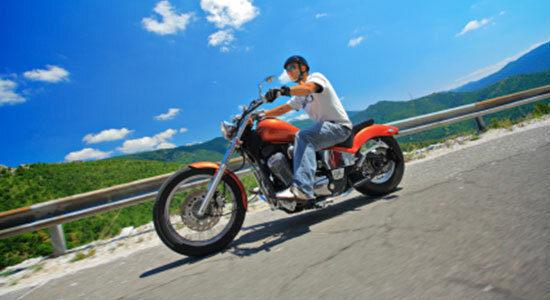 On behalf of our staff at Edgar Snyder & Associates, I wish you a safe and injury-free motorcycle season.